Bit confusing and muddled beginning, but shines thereafter. 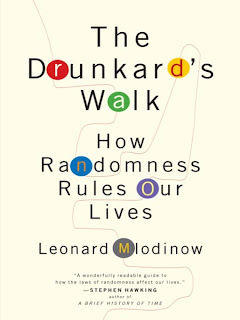 Very readable, non-technical introduction to probability, randomness, and statistics, and more so of the people at the heart of the development of this science. However, the book does suffer somewhat as a result of this deliberate dumbing-down. For example, no formulae on how to calculate variance, standard deviation, or conditional probabilities. Even if the average reader never uses them or never even reads these formulae, it would still be of benefit to some at least to read these and try them out. Consider "Innumeracy: Mathematical Illiteracy and Its Consequences " as an excellent companion to this book. Again, a non-technical book, but with slightly more advanced examples. Read Nudge: Improving Decisions About Health, Wealth, and Happiness (my review, and on Amazon.com) and Stumbling on Happiness (my review, and on Amazon.com) for a better understanding on why and how people make mistakes when attempting to make decisions under uncertainty and on Kahneman and Tversky's research in behavioral economics Judgment under Uncertainty: Heuristics and Biases . Books on subjects like probability, randomness, statistics, and such mathematical topics run the risk of becoming too number-focused, which while adding tremendous value to the book alienate 99% of the intended audience. On the other hand, deliberately dumbed-down books do little to inform the reader, much less educate him. This book falls somewhere in the middle, skewed more towards the dumbed-down end. What redeems the book however is the attempt to bring somewhat of a historical perspective, by way of tying each chapter to not only an important discovery and development in the science of probability, randomness, and statistics, but also weaving a very readable and well-written story of the people behind these developments. I found the beginning a bit muddled because it was not clear whether the author was going to delve into errors in judgment that people make, getting into territory already covered by such books as "Nudge", "Predictably Irrational", "Sway", and others, or whether it was going to go down the mathematical road. It takes a chapter or two for that to become clear, and till then you have to persevere with the book. The effort is rewarded thereafter. 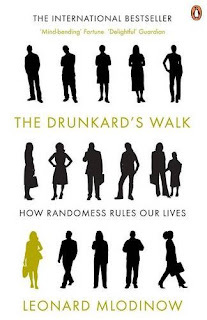 Also, since some of the book talks about randomness, how people are misled by it, and how people often end up erring when making decisions, some of the examples also are common with other books like Nudge and Stumbling on Happiness. These books also do a better job of describing these examples. The one on bombing clusters in London during World War II or cancer clusters are two examples. There is of course a steady parade of terms you would encounter in statistics and probability, like "regression towards the mean - Wikipedia link, the paper by Francis Galton" (page 8), "isomorphism", "frequency interpretation of randomness" (page 85), "standard deviation" (page 134), "error law" (page 136), "margin of error" (page 141), "central limit theorem" (page 143), "coefficient of correlation" (page 163), "chi-squared test" (page 164), "significance testing" (page 171), and so on. But there are no formulae in the book, so have hope. Screenshot from the Wall Street Journal on backdating. Also see these links from the WSJ: link 1, link2, link 3. "That smooth bell curve is more than just a visualization of the numbers in Pascal's triangle; it is a means of obtaining an accurate and easy-to-use estimate of the numbers that appear in the triangle's lower lines. This was DeMoivre's discovery. "(Galton) He dubbed the phenomenon - that in linked measurements, if one measured quantity is far from its mean, the other will be closer to its mean - regression toward the mean.